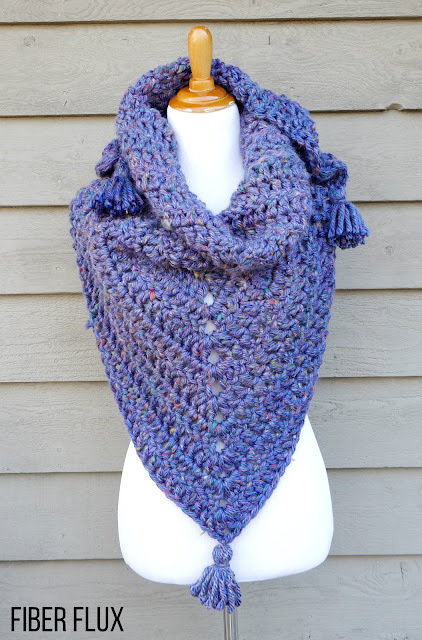 Fiber Flux: Free Crochet Pattern...Snow Berries Blanket Shawl! Free Crochet Pattern...Snow Berries Blanket Shawl! 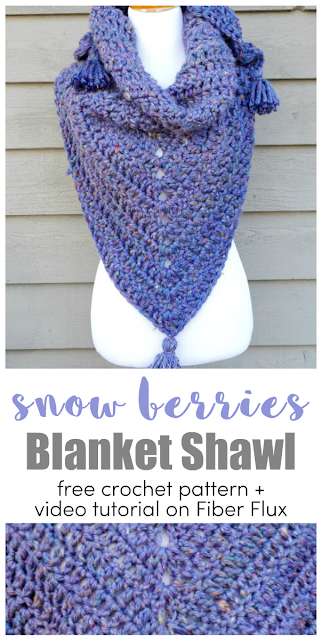 The Snow Berries Blanket Shawl is the perfect accessory to keep the chill off! 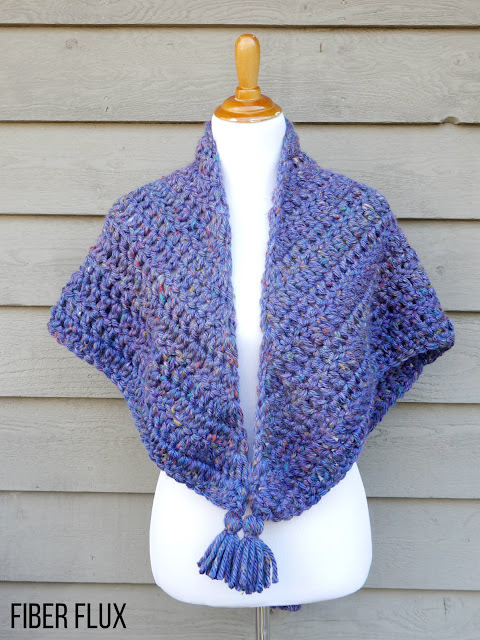 This wearable blanket-like shawl is thick and super cozy like an afghan, but still easy to grab for on the go too! 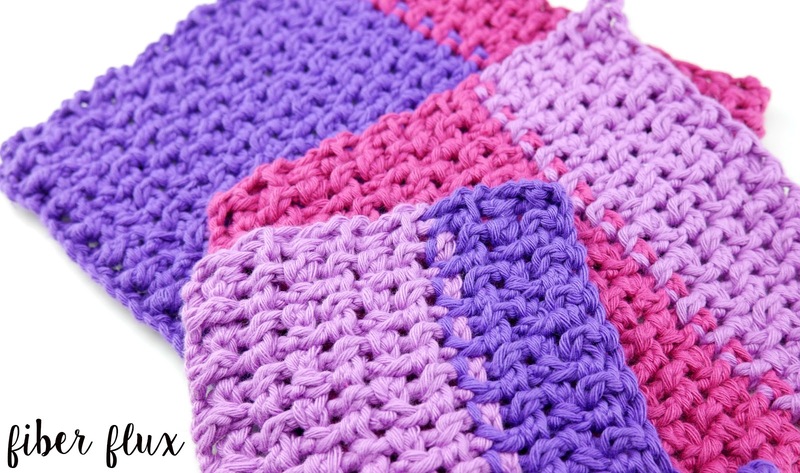 Try mixing up the colors for fun chevron-like stripes of color too! Ch 4 and join the the ch furthest from the hook to create a ring. Row 2: Ch 3 and turn. In the very first stitch (at the base of the chain 3) work 2 dc. Work a dc in each of the next 2 stitches, then in the corner space, work (2 dc, ch 2 , 2 dc). Work a dc in each of the next two stitches, then work 3 dc in the turning chain space. *Note: for row 3 and each row after, you'll work it like row two, but adding side stitches to each row. This is how the triangle will grow wider and taller. The points of the triangle are always worked the same. Row 3: Ch 3 and turn. In the very first stitch (at the base of the chain 3) work 2 dc. Work a dc in each of the side stitches of the triangle, then in the corner space, work (2 dc, ch 2 , 2 dc). Work a dc in each of the side stitches, then work 3 dc in the turning chain space. 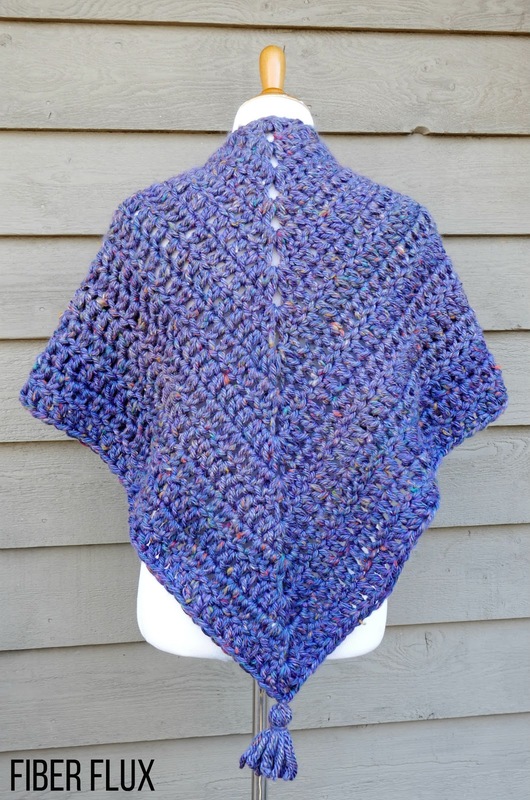 Repeat row 3 until shawl is 50 inches down each side and 55 inches across the top edge or until desired length. Fasten off and weave in any ends that remain. Continue below if you wish to add tassels. Cut two pieces of yarn, each about 6-8 inches. Set aside. 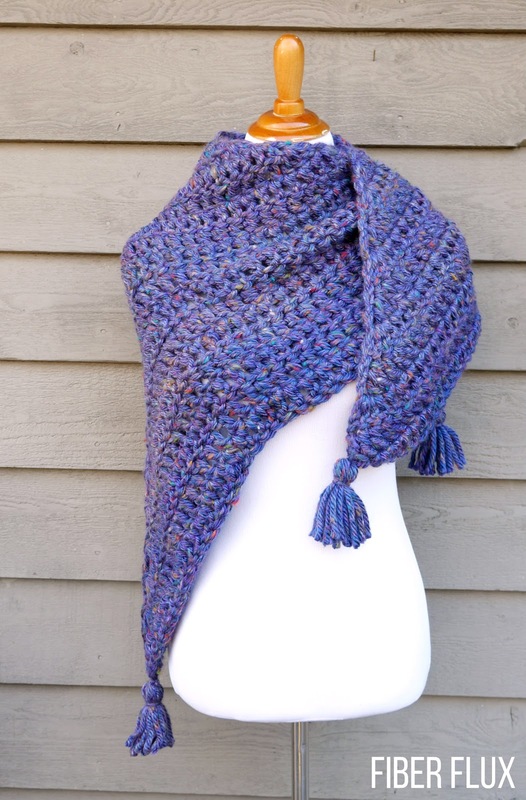 Wrap yarn around al four fingers for a total of 12 wraps. Thread one piece of yarn into top of bundle and tie securely. Tie second piece of yarn around top of bundle, about 1/4 of the way down, tucking in ends. Cut loops from bottom of tassel. Repeat two more times for a total of three tassels and tie to each of the three points of the shawl. Weave in any ends that remain.